North East Ohio’s Newest Haunted Attraction! 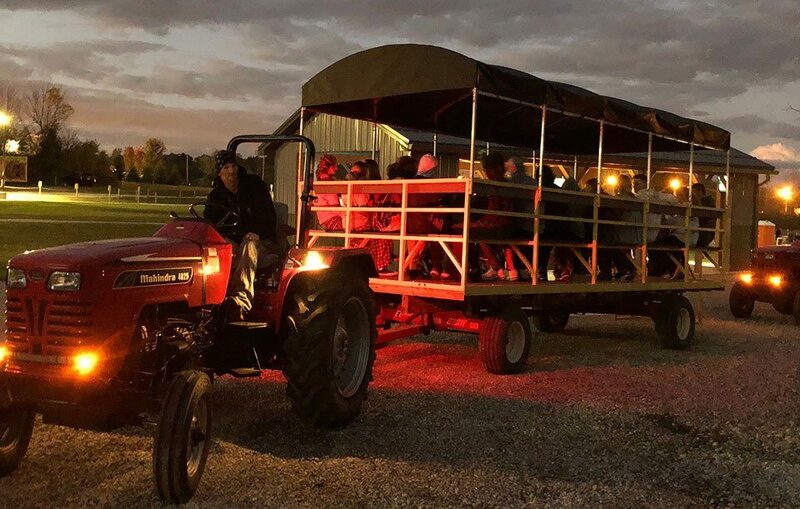 As you journey along a one mile haunted hayride through the deep and dark woods of 58 acres in Medina county you cant even imagine what’s waiting for you inside these woods! You then will enter Night Stalker’s Trail, a quarter-mile long haunted walking trail that takes you deep into the woods. With elaborate sets, scenes and displays. You will then enter the Mortuary Haunted House, a funeral home for many years but the caretaker has other plans for you! Forest of Screams is the most terrifying and exciting Halloween experience you will have this season! You can scream but no one will hear you! We have covered wagons if it rains! 3 Attractions in 1 Location! Site contents Copyright Forest of Screams Haunted Hayride unless noted otherwise. All rights reserved. Back to top.